Smartphones have become part of everyday life for most people these days so we’re going to be sharing some more smartphone tips. Set your phone to flash its camera light instead. Then, when you are in a crowd such as a restaurant, flip the silence button (iPhone) or silence your Android (if your version has this setting) — and you’ll still have the flashing light. As long as your phone is in sight, you’ll know when someone seeks you. Settings -> General -> Accessibility. 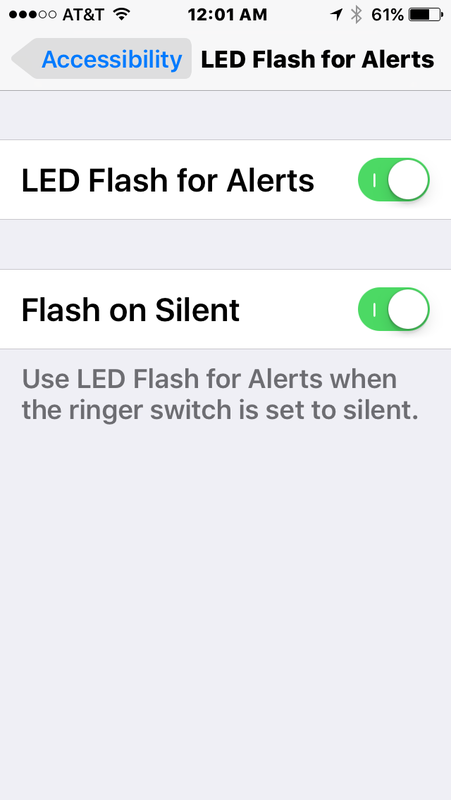 Scroll down to Hearing and turn on LED Flash for Alerts and Flash on Silent. In Settings, go to Accessibility. Find Hearing, then Notifications. 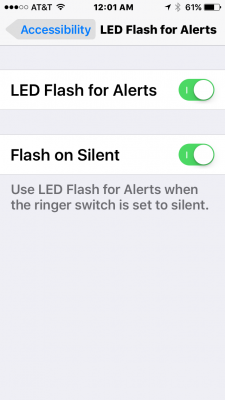 There, you’ll find a setting that will flash your phones camera’s flash for notifications or alarms. This feature was actually created for deaf or hard-of-hearing users and it’s terrific for them — but it’s a person with no hearing issues that taught us this. Everyone can benefit from it. We’ve been using this trick and find our phones can be on the table, in a shirt pocket or in an exposed pocket of a handbag. Obviously, this is a great setting for a restaurant. Fellow diners don’t need to be interrupted by your phone, and every other diner’s phone. One of our people had her iPhone in her handbag as she food shopped at Ralph’s in Los Angeles. As she ordered her fish at the butcher, she noticed the flashing light out of the corner of her eye. She was able to know she had an issue to deal with but not disrupt her order or waste the other shoppers’ time.